Lohan Owes 250K in Gift Taxes! eeek! Lindsay Lohan while have to pay tax on the $250,000 worth of furniture she was given as a present. The troubled actress - who was recently given a bill from the Internal Revenue Service (IRS) $233,000 for unpaid taxes between 2009 and 2010 - received the expensive furniture from producers of Bravo reality TV show Million Dollar Decorator. But because she refused to take part in the programme's big reveal, she is going to be taxed on it. A source told website RadarOnline: 'Producers had planned on paying the luxury gift tax on the furniture that was given to Lindsay for her Beverly Hills rental house. 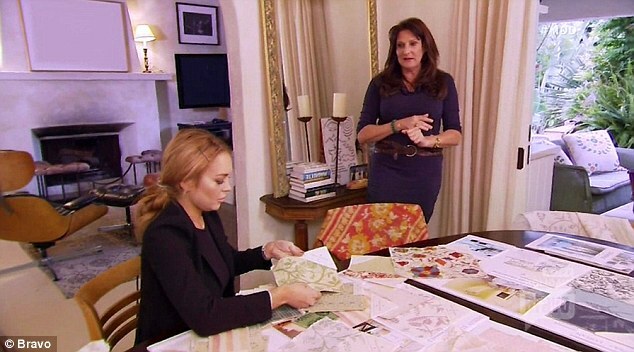 'Lindsay was given $250,000 of beautiful furniture, but when she failed to agree to appear on 'Million Dollar Decorator' for the big reveal of the work that was done on her rental house, the producers decided they weren't going to pay the taxes. Bravo bosses initially wanted to repossess the furniture and flooring that was given to the Mean Girls star after she refused to finish filming but couldn't get it back from her. The source continued: 'Lindsay didn't appreciate anything that was done for her. She was given $250,000 in furniture. 'Bravo attempted to get the furniture back, but Lindsay was one step ahead of them and had everything from the house sent to an unknown storage location. Interior decorator Kathyrn Ireland recently revealed that Lindsay initially became involved in the show after they met at a dinner and became friends. 'Of course it's disappointing, but it wasn't like she didn't show,' said the interior decorator. 'She had an accident. You've probably seen what the car looked like. It was really cute when she did finally come see it that weekend.